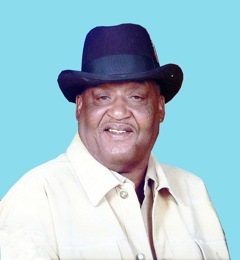 West's Mortuary, Inc. | Mr. Johnny "Buddy" Kaigler, Jr.
Mr. Johnny "Buddy" Kaigler, Jr.
Funeral services for Mr. Johnny B. Kaigler, Jr., better known as “Buddy” or “Grill Master”, of Montezuma, Georgia, will be held on Saturday, July 30, 2016 at 11:00 at New Hope Baptist Church in Montezuma with Reverend Coley Clark, Jr. officiating. Burial will follow in New Hope Cemetery. Buddy passed away on Thursday, July 21, 2016 at Montezuma Health and Rehabilitation Center, Montezuma, Georgia. Johnny B. Kaigler, Jr. was born June 18, 1947 in Macon County, Georgia to the late Lottie Colbert Kaigler and the late Johnny B. Kaigler, Sr. He was united in holy matrimony to the late Edith Brock Kaigler and they were blessed with one loving son, Darrell Kaigler. He became a father figure for Jeffery and Edward Chavis. He later married the former Mary Harris Kaigler and was a father figure for Curtis Hill, Anthony Harris, Brian Harris and Kevin Harris. Buddy was a member of Zion Grove Baptist Church and worked at Southern Frozen Foods for many years. Later he was employed at McKenzie Memorial Golf Club for a number of years until his health failed. He was preceded in death by five siblings: Michael Kaigler, Ola Mae Haslem, Mary Ola Bound, Beverly McGhee and Willie Mae Ball. Left to cherish his memory are: his son, Darrell Kaigler (Dianna) of Charlotte, North Carolina; four grandchildren, Jordan Kaigler, Jacorey Chambers, Jaylen Kaigler all of Charlotte, North Carolina and Shanice Cunningham of Weiden Germany; a great granddaughter, Skylar Chambers of Charlotte, North Carolina; He is also survived by: Jeffrey Chavis of Montezuma, Georgia, Edward Chavis of Angier, North Carolina, Curtis Hill of Jesup, Georgia, Anthony Harris of Ann Arbor Michigan, Brian Harris and Kevin Harris of Montezuma, Georgia for whom he served as a father figure; four sisters, Carrie McGhee and Bettye Jo McKenzie of Montezuma, Georgia; Annette Cotton of Locust Grove, Georgia; Louise Gardner of Miami, Florida; one brother, Willie Brown (Camille) of Locust Grove, Georgia; sisters-in-law and brothers-in-law, Delphine Kaigler of Ft. Lauderdale, Florida, Martha Crews of Huntsville, Alabama, Peggy Johnson of Chesapeake, Virginia, Otis J. Brock (Annette) of Savannah, Georgia and Mary Louise Waters (Rev. Hosie) of Montezuma, Georgia; devoted cousins, Bertha Barron of Montezuma, Georgia and Delois Dunn of Bonaire, Georgia; a host of nieces, nephews, cousins and devoted friends.